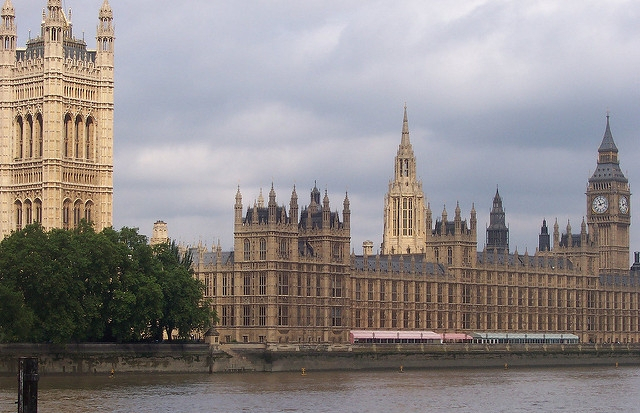 On 2nd February, ICF Policy and Development Officer Alex McAuley attended the Forestry All-Party Parliamentary Group (APPGF) meeting in Westminster, which focussed on the role of trees in flood prevention. Confor, who provide sectretariat for the group, presented their updated discussion paper, Forestry and Flooding. Confor’s Technical Director, Andrew Heald MICFor and Tom Nisbet of Forest Research explained the science behind the role of trees in flood management. Central to the discussions, was the assertion that planting of trees in upland/marginal areas can have an impact on water retention and downstream flow within in year. An endorsement of Ann Marie-Trevelyan’s request that tree planting targets should be increased from 11 million to 200 million trees by 2020. In attendance at the meeting were the Group’s Chair, Chris Davies, Conservative MP for Brecon and Radnorshire, and three elected vice chairs; Labour peer, Lord Clark of Windermere, Conservative Lord Boswell of Aynho and Ann-Marie Trevelyan, Conservative MP for Berwick-upon-Tweed. Furthermore the APPGF was well attended by a diverse range of stakeholders, including Forestry Commission England, Forest Research, The Green Party and the House of Parliament’s Office of Science and Technology, Thames Water and the Woodland Trust. In addition to discussions, there is a petition before Parliament on making tree planting a priority to reduce flooding. ICF Members can sign this by clicking here. It has been reported that the UK Parliament’s Environment, Food and Rural Affairs Select Committee will be launching an inquiry around forestry, the details of which are due to be finalised. The Institute will engage with ICF members and make appropriate representations. The APPGF, launched in June 2015, focuses on the need for increased levels of sustainable forestry, helping to drive UK support for the wider forestry and wood processing sector. An APPG is an informal group of cross-party parliamentarians who join together to pursue a particular topic of interest. APPGs have no formal place in the legislature, but are an effective way of bringing together parliamentarians and interested parties together.